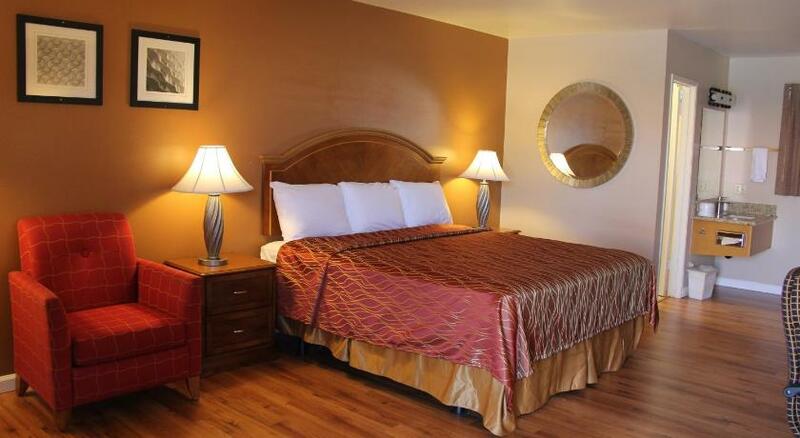 The Franciscan inn motel vista ca offer elegantly furnished, clean and cozy rooms to the guests. All rooms of this motel have a refrigerator, a microwave, a small working desk, and a cable TV. All rooms have private bathrooms featuring a shower/tub combination. Room service is offered to the guests. An outdoor pool is featured by this property. Free and high-speed Wi-Fi connection is available in some public areas and in all rooms of this motel. Free public parking is available onsite. A beautiful garden is available for the guests. The famous Antique Gas Steam Engine Museum is just 4.5 km away from this motel. The Museum of Making Music is 10.7 km away, Belching Beaver Brewery is 5.3 km away, and many other famous landmarks are just a few km away from this motel. Franciscan inn motel vista ca is one of the famous motels in vista ca and is the top choice for many tourists. A beautiful city in California, Vista provides different options for fun, entertainment, adventure, and much more! The visitors can explore the artistic side of Vista, enjoy restaurants, interesting places, and many other things as well. The Wave Waterpark, Antique Gas & Steam Engine Museum, Alta Vista Botanical Gardens, Brengle Terrace Park, and Rancho Guajome Adobe are some of the most amazing places of Vista and for comfortable accommodation in this city, Franciscan inn motel vista ca welcomes you!